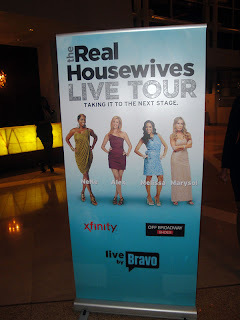 Home celebrity makeup girls night out pink and purple Pics & Commentary from the Bravo Real Housewives Live Tour! Pics & Commentary from the Bravo Real Housewives Live Tour! I'm back with another fun post. 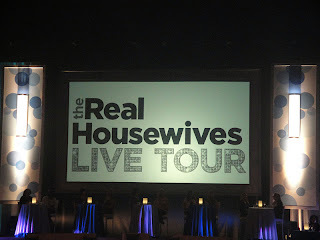 I had the chance a few weeks ago to attend an awesome event - The Bravo Real Housewives Tour. 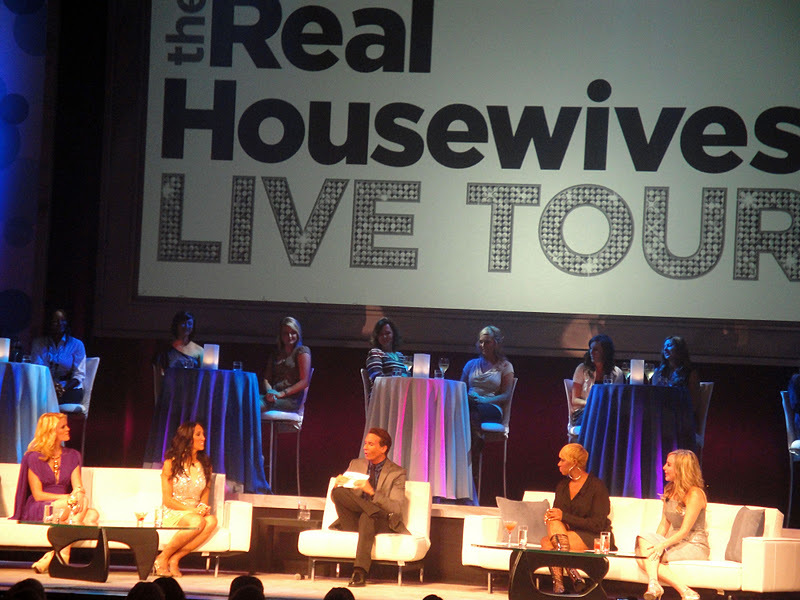 Who here loves the Real Housewives series? I do, I do! 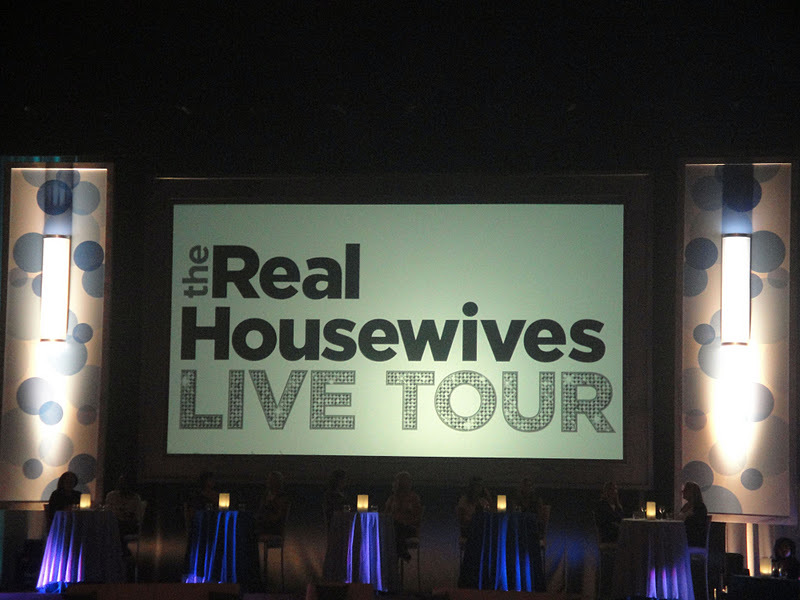 This tour went to different cities around the country and it featured a panel discussion with some of our favorite Housewives from the hit Bravo series. 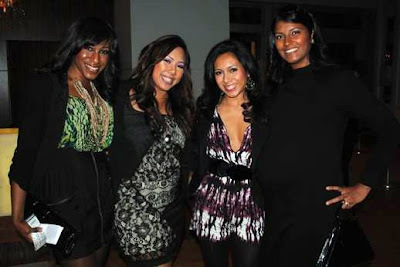 They came to Atlanta and my girls and I thought it would make a great girls night out. We dressed up, I did some makeup and we had an awesome time. That night, I wanted to do something fun with my makeup. 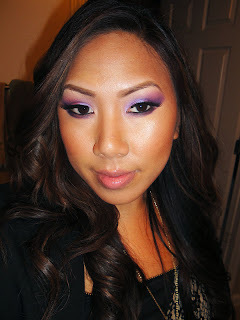 I was inspired by Nene Leakes and her use of bright eyeshadows. In person it was a lot brighter...on my eyes I'm wearing MAC Stars & Rockets, Vibrant Grape, Passionate, and Shadowy Lady. I wish I had gotten an up close pic of my BFF Alex. I did a gorgeous, super dark smokey eye on her. The event was at the Cobb Energy Center. Sadly, the place was far from sold out. LOL, but luckily for us this meant a seat upgrade! I'd say we were about 25 feet from the stage. Here is a shot of Melissa Gorga from the Jersey cast. She is gorgeous - her shoes and dress were blinged out! And actually she seemed really down to earth in person. Her husband Joe Gorga was there as well in a little side balcony and he got just as many cheers as she did, lol. Of course they talked about the Teresa drama the whole time. Next we have Alex McCord from the New York cast. I loved her bright purple dress. I wasn't a huge fan of her on the show but I will say that this lady is super intelligent and knows how to answer questions with the right amount of juicyness and wit. Even though she's not on the cast anymore, she seems like she has lots of business ventures coming up to keep her busy. Next, we have Marysol from the Miami Cast. To be honest, I only watched a few episodes of the season. It was cancelled because honestly, it was kind of boring. Marysol, however, was super duper sweet. She was nervous and it seemed like she got a little tipsy on stage lol. 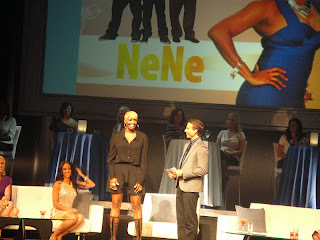 Being in Atlanta, of course the crowd favorite was NeNe Leakes from the Atlanta Cast. She had on some funky shoe boots lol, but I think she could've dressed up a bit more for the event. NeNe used to be my favorite cast member, but now it seems like it's gone to her head. Whenever the host (not Andy Cohen sadly, but another Bravo producer) asked her some juicy questions, she avoided answering them and it was not fun to listen to that. Here is a shot of the ladies on stage. The whole show was almost like a reunion...they showed clips and took questions from the audience. Honestly, the show was fun but could've been juicier. Everyone was trying to be a little too politically correct and some of the audience questions were a little bit tortuous to sit through. All in all though, it was good to get out with my girls. Here's a shot of me and the besties at the event. Hope you enjoyed this fun post. Stay tuned for tomorrow' post because I'm getting back to my Friday giveaways! seems like you had a lot of fun! nice makeup. i love The Real Housewives..Atlanta is my favorite i love Nene but your right shes thinks the show revolves around her but im gonna lie i love to watch her and Kim! !